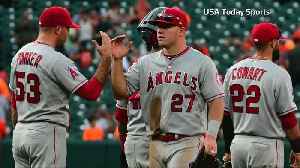 Does Mike Trout's New Contract Add Pressure to Angels' Organization? 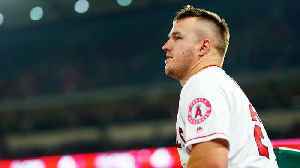 With Mike Trout signing a massive 12-year contract extension with the Angels this offseason, SI senior writer Ben Reiter says the pressure is on for Los Angeles to finally win a playoff game with the..
Los Angeles Angels player Mike Trout officially signs a record-breaking contract to stay with the Los Angeles Angels for 12 more years. 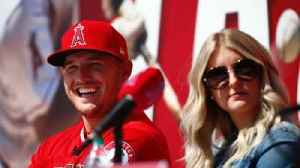 After signing the biggest contract in sports history, Mike Trout mentioned the Angels' "commitment to winning" as a key part of his decision. 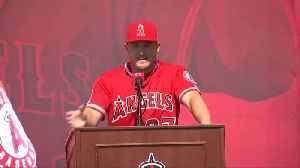 Problem is, Los Angeles hasn't won a playoff game since he.. 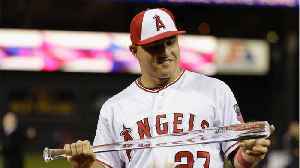 Which NFL Player Deserves Mike Trout's Contract? 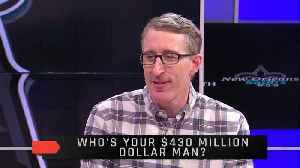 On this week's episode of MMQB TV, Andrew Perloff and Albert Breer discuss which NFL player would realistically deserve Mike Trout's monster contract. 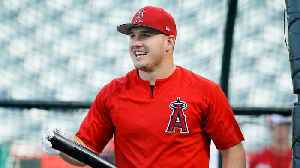 (CNN)Mike Trout, one of the most sought-after baseball players of his generation, looks set to agree a 12-year contract extension with the Los Angeles Angels worth a stunning $430 million, according to..
Slugger Mike Trout is on the verge of a 12-year, $430 million contract extension with the Los Angeles Angels according to reports. 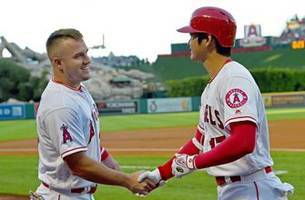 Freddie Joyner reports.